A cross-country road trip sounds like a great idea until you factor in the drive time, the expense, and the wear and tear on your vehicle. Whether you’re moving from one state to another, heading off to college, you’ve received a PCS order, or you’re buying a car from a faraway seller, having to transport a car across country yourself can take longer and cost more than you expect. The alternative is shipping your car across the country on an open or closed carrier where it will ride in style from state to state without adding any miles to the odometer. Once you’ve made the decision to transport your car across the country with a carrier and factored that into your budget, then it’s time to start checking off the to-dos associated with shipping a car. Knowing what you need to do to ship your car is the easiest way to make the entire process smooth and easy. We’ve previously shared our easy steps for preparing your car to ship, but when should you be completing each step? Continue reading as we expand on all of the steps involved, and where to fit them into your calendar as you look ahead to your ship date. Find an auto transport company that has proven itself reliable, services your current location and your destination, and fits into your budget. Ask friends and relatives to recommend a company, read reviews, and remember that experience matters. At Montway Auto Transport, we move more than 200 vehicles each day while still giving every customer individual attention so they have total peace of mind before, during, and after shipping. Complete this step: As early as possible! 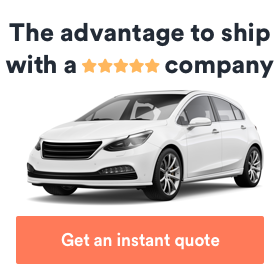 Most companies that transport cars across country will be happy to give you a free estimate and answer any questions you may have about the process of shipping a car. Some will ask you for your preferred shipping dates before giving you a quote, while others will draft a quote using ballpark dates. If you are curious about how much shipping will cost but aren’t ready to get estimates, there are plenty of car shipping calculators online that will give you an idea of how much shipping will cost. Complete this step: As early as possible. Since you probably have an idea of when you’ll need to receive your vehicle, you can work backward to choose a ship date. Booking your transport well in advance will make it more likely that there will be carriers available on the dates that work best for you. Some auto transport companies are flexible enough to ship on short notice, but a good rule of thumb is to book no later than a week before your desired ship date. Complete this step: One month before your desired ship date is perfect, up to one week before your desired date may be cutting it close. Most carriers operate with plenty of coverage so you don’t necessarily need additional insurance to transport your car across country. But if you want supplemental insurance, your broker will be able to set that up once you know your ship dates. Here’s another good reason to check in with your insurance company: moving to another state will eventually mean updating your policy. Why not find out what you’ll need to make those updates now? Complete this step: One month before your ship date. Double check whether your car’s tires are fully inflated and suitable for the conditions at your destination. If you’re moving from a city down south to a rural area way up north, you may need to invest in new tires before you transport your car to ensure your vehicle is driveable. Complete this step: A month to a few weeks before your ship date, in case you need to purchase new tires. Make sure your car’s battery is completely charged up and secure in its brackets. A loose battery can damage other parts of your vehicle’s engine if it gets jostled too much during shipping. Complete this step: A few weeks before your ship date, just to be safe. Your e-brake must be functional before your ship date, so check with your mechanic if you have any doubt that it’s working correctly. There are a lot of good reasons to give your car’s exterior a thorough cleaning before you ship it, but the most important reason is that it’s easier to identify and photograph scratches, dings, and other imperfections when you’re looking at a spotless vehicle. Complete this step: A few days before your ship date. This is when you register any existing damage to your car so you can compare its condition at delivery to its condition at pickup. Look for scratches, chipped paint, dents, rust, and other minor cosmetic defects and log them both on paper and in close-up photographs. Make sure that you turn the date imprint feature on your phone or camera on before taking pictures so there is no doubt about when the photos were taken. Are there any noticeable leaks under your car or in the engine compartment? If so, it’s a good idea to get these taken care of before you transport your car across the country. As you get closer to your vehicle’s ship date, you should drive your car around town until the gas tank is about 1/4 full. This decreases the weight of your vehicle, which makes shipping easier, and leaves less gas sloshing around during transport (which means there’s less stress on your car during its journey). This includes antennas, bike racks, ski racks, cargo boxes, and any other exterior components that are not permanently fixed to the car. Add-ons that can’t be removed should be safeguarded securely using tape, bubble wrap, special coverings, and other forms of protection. If you’re not sure how to protect aftermarket additions to your vehicle (e.g., a spoiler), ask your auto transport company what they recommend. Most people know not to leave valuables like iPads or jewelry in their vehicles, but when you’re transporting your car across country you shouldn’t leave any personal items in the vehicle. Make a point of removing everything from spare change to automatic parking passes and toll tags to your emergency kit since insurance rarely covers anything left in the vehicle. If your car is a convertible, make sure the top is not just up, but secured well. This is especially important if you’ve opted for transport on an open carrier since your vehicle’s journey may include a rainstorm or two. Your car’s alarm system may give you peace of mind when you park it around town, but it will give your hauler a headache if it starts sounding randomly on the road. Drivers will do whatever it takes to stop an active alarm, so it’s best to prevent the possibility that your car’s alarm will accidentally go off. It’s never a good idea to give the only keys to your vehicle to your trucker when they pick it up. Keep a spare set and then bring that key and fob with you when your car is delivered, just in case. This only takes a second and may be useful in the event you feel like something is off when your car reaches its destination. Complete this step: The day before or day of your ship date. When your shipping date arrives, you need to be present when your driver picks up your car so you can sign the bill of lading. This is a good time to inform him or her about any minor handling issues (e.g. a sticky shifter) so there are no issues during loading and unloading. Complete this step: The day of your ship date. It’s only natural to wonder where your vehicle is when you transport your car across country, which is why Montway has a system in place to give customers real-time updates upon request. You can call or email to find out just how far along your car is in its cross-country journey! Complete this step: Anytime during the shipping process. When your car arrives, you will be asked to sign the bill of lading to confirm that your vehicle has been delivered in its original condition. Bring the notes from your pre-pickup inspection just in case – that way you’ll know for sure whether a particular scratch or ding is new. Complete this step: Upon delivery. While your car insurance covers you in all 50 states, you will eventually need to buy coverage from an insurer operating in your new home state. Do this before you move onto the next step. Complete this step: The day of delivery (some insurance policies may allow you to update beforehand, as well). If you transported your car as part of a move, your next step should be to gas up and head over to the closest DMV to update your registration and get a license in your new state. Most states give drivers between 10 and 30 days to update their paperwork, and require you to show proof of insurance and your title. Note: Your previous vehicle inspection may or may not be valid in your new state. Complete this step: The next day or a few days after delivery. And that’s it! The logistics of transporting your car across the country can feel overwhelming until you realize that the process of shipping a car unfolds one step at a time just like anything else. We hope this checklist will help you feel more confident about shipping your car so you can focus on all the other responsibilities associated with a move or buying a car from a faraway seller. 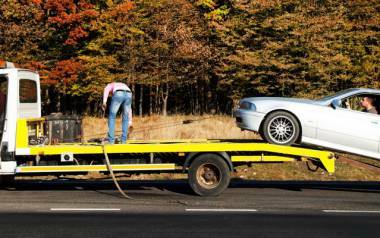 Choose a great shipper and transporting your car will be one less thing you have to worry about. 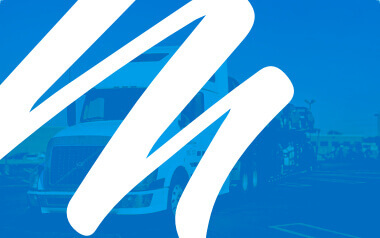 Ready to get a free cross country car shipping quote from Montway?